What could possibly have been contained within? A diamond-encrusted iPad 2 perhaps? A gold-plated iPhone? Well, it turned out it was a proposal for an Apple store to be built on the balcony overlooking the main hall of Manhattan’s Grand Central station. According to Apple Insider, the deal is close to going through. Was it the linen on those boxes that sealed the deal? Several months ago it looked as if Apple was going to give up on plans for the store as the approval process would likely have taken longer than the Cupertino wanted to wait (they’ve got stuff to sell, damn it!). As Apple Insider explains, this was because the company wanted to locate the shop inside the station itself, outside of the regular retail area. But then two months ago, the MTA suggested a “marquee space” that it hoped would appeal to Apple. The authority waited quietly to see if the computer giant would put together a bid. An Apple employee then scooted off to buy some linen for those boxes. The New York Times is reporting that the MTA’s board “is expected to approve the deal as early as next week, at its monthly board meeting.” The location is believed to be two adjacent balconies on the north and east sides of the terminal. 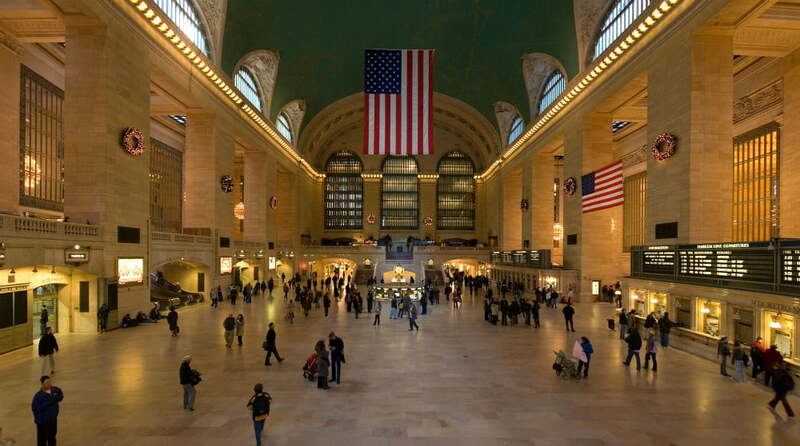 Grand Central is much more than just the world’s biggest train station (by numbers of platforms and tracks); it’s also home to a number of plush restaurants and around 50 unique specialty stores. The station’s beautiful architecture also attracts huge numbers of tourists. If Apple get the go ahead with the new store, it would give the Cupertino company 15,230 square feet of space to fill up with goodies, including the new MacBook Airs launched yesterday. The company already has four retail stores in Manhattan, but obviously feels the demand is there to add yet another. Judging by its latest set of financial results announced on Tuesday, we think they’re most probably right.